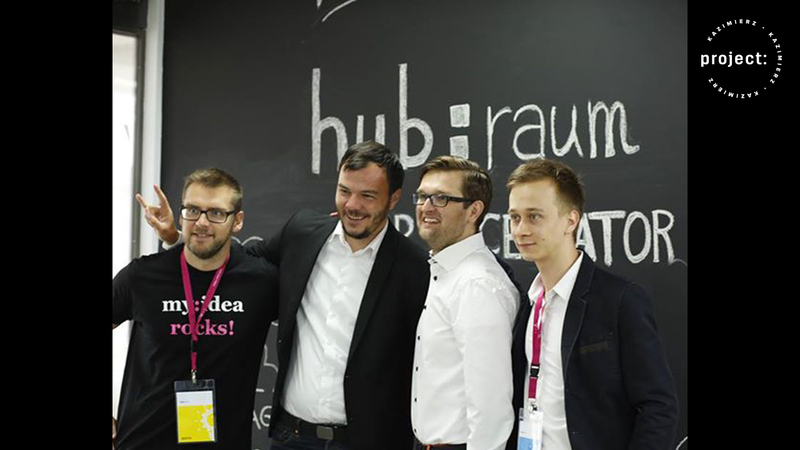 Meet Kuba Probola and Luka Sučić: the minds behind #HubRaum – Krakow’s premier startup investment collaborative in this episode of #ProjectKazimierz. 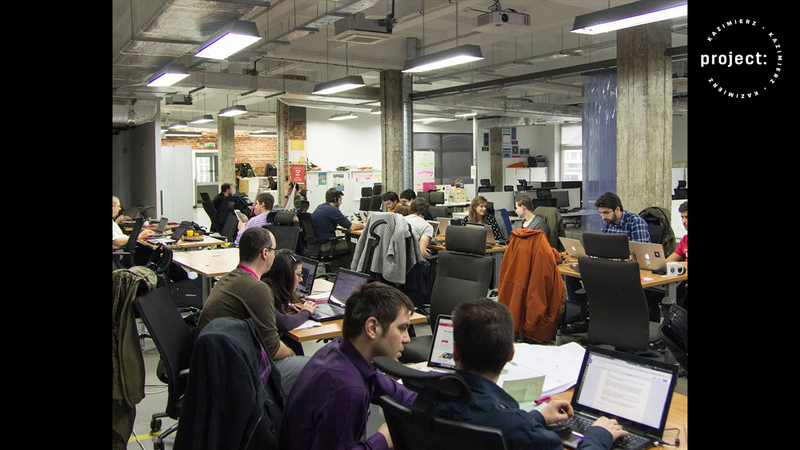 Find out what they do and how they are helping advance the growing startup community that is migrating to central Europe today. 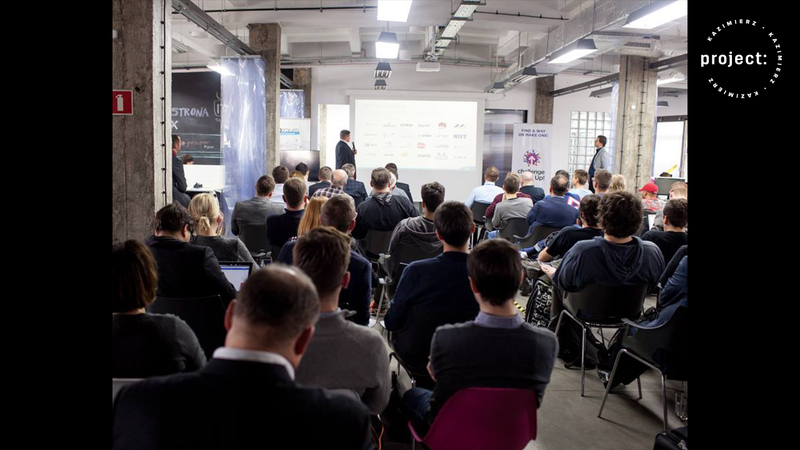 Why Bring Your Startup to Krakow? 45:39 Is Hub:Raum a Good Fit? Hello Project Kazimierz podcast listener, and welcome to another episode of Project Kazimierz. And I am here with my co-host Richard Lucas. And like always I am going to do the introductions here, but instead of introducing Richard to make the introductions, I am actually going to make the introduction here because I am introducing the leadership team here at “Hubraum”, which is an innovation start-up incubator and also accelerator funding facility for start-ups in Poland. And it is founded by “Deutsche Telekom”, run by “Deutsche Telekom”, and it is a fascinating subject that I would like to explore today because I think it’s a really powerful movement in the field of innovation in Central Europe. But before you get into that, just for people who might be listening on some distant part of the planet – “Deutsche Telekom”: “deutsche” means “Germany” in German. It`s national telephone operator in Germany, which is a country between Poland and France. [Laughing] And also I would like to say to anyone listening to this in the distant future that we are on Friday, 13th of March 2015 and this is an air of extreme excitement in international politics because the President of Russia is missing, [Laughing] and we hope forever. We all are very excited. So I am just going to introduce first of all Kuba – the Chief. What is your official title here – “Сhief”? I am the leader of the “Hubraum Krakow”. Chief innovator of the “Hubraum” here. And then I’m sitting also with Luka who is from Croatia and you are the Chief Evangelist which I love that term because it sounds so American. I want to have a revival when I hear that. And coming from a family where a couple of my uncles, and father, and brother are in the Ministry, I told Luka I could teach him a little bit about Evangelism. So what I would like to do is start now by calling; I’m just going to let Kuba go ahead and introduce yourself and give us your background, and we’ll jump right into the topic today which is the corporate entrepreneur partnership. And I think it’s very exciting, what is going on here in Krakow with “Deutsche Telekom” and “Hubraum”. So I’m Kuba Probola and I’m the head of “Hubraum” where we have a room place to do this. I have been in “Deutsche Telekom” for more than 11 years. I started as an engineer, “backward” engineer, and then was doing something good with the new product, with the innovation. Then I was responsible for innovation just into Poland and then I had this great opportunity to be leader here. So that’s a little background, much or more. So yeah, thanks for the opportunity; I really love podcastings. [Laughing] So yeah, I am coming from Croatia, I am Croatian by birth and I ended up here by coincidence, almost. I did a 4-year term in Croatian Telekom Innovations Unit, Product Development Unit. But before I was star-uper, had businesses of my own technical and non-technical and basically this was the driving force for me. I am Evangelist. I don`t know, everybody is catching to that title and it was, sort of like a half-joke here, but it seems that it is the white one. And beyond that, could you … I don’t know which of you should say, to imagine Sam has no idea but anyone in “Hubraum” is but what accelerator is, could you say a few bullet points, what’s the purpose, what do you do, what is your role in the community? Okay, but at the beginning we can tell you a little secret and then you will be in the “circle”. Okay, thats a very secret audio. For everyone listening us anywhere in the world, you’ve been invited to a carefully guarded secret.. Exactly, that is the idea. And I would love to spell secrets. Don’t tell anyone. We will send them a link. Yeah, but don’t try to turn around. You are in the circle. So we’re making progress. That’s how you pronounce it, but it`s not the same as the purpose, right? “Hubraum`s” purpose is twofold. We call it the “innovation hub” because we’re not only an incubator and accelerator, we are much more. So what we do is a lot of things. We were based here in Krakow for a reason. I mean it is in the heart of Europe, it has a diverse not only a sub-community, but also a university and student community, international sort of type of way it’s in access with an access to the heart of Europe. What we do is we try to absorb any type of innovation from any kind of, let’s say, organization or work, should it be a sub-community or university or any kind of other type of corporate or non-corporate venture into “Deutsche Telekom”. Like, we should say, I mean we should say “Deutsche Telekom” is a huge international telecommunication company; one of the oldest ones in Europe. And it exists for, I don’t know, 4 years already. We have 14 companies in Europe and we have a total amount of 200,000,000 users in general. And basically, what we realize, and what`s important, the management of national companies realize this, that innovation is a fast-paced game. So in an old company when your corporation some things get slowed down and an absorption of the innovation within the corporate culture gets slowed down and this is deadly for any big company. You can ask “Nokia”, you can ask any name of company or any other ones as “Google”, “Facebook” what is happening, you know, when you stop something like this and this is basically the sort of a whole push towards absorbing the innovation and basically helping building the bridge between the corporation at the ground level when real things are happening, when real relationships are happening. So we do incubation, we invest in startups, we are seed fund, we do the things, we do small programs, we do big programs; we do a lot of things at the same time. So like Kuba said, we use, I don’t know, when we’re talking to some persons we use incubation acceleration and when talking to corporate people we talk about a knowledge transfer, innovation transfer, a knowledge absorption, transformation of the company and the culture. So we have a lot of purposes. I mean the people who are working here and in other part of “Hubraum” Krakow are basically people who have both backgrounds, I mean from the market, coming from the entrepreneurial spirit and have some experience in corporation, I mean corporation “Deutsche Telekom”; I am coming from a “Croatian Telecom”, that is is my last position there, but I’m not a corporate guy. I mean, I know all of these rules and all the regulations and all the behavior patterns, but my job there was to transform the company for moving and this is also a part of our mission. Some of the times I’ve came here with community events, promotional events and I have noticed that I’m at the American consul here and German at “Astia”, in inspired by “Astia” event which is a female entrepreneurship by being at the TEDx Kazimierz event coming up here. Could you talk a little bit about your role in the community as well? Because I think a lot of people will be quite surprised to hear like that kind of event happening in a startup incubator. It is really important to support local communities not only in Krakow, especially in Krakow because we are based here, but we are also acting on defence in different countries and in different cities to support communities, to support start-upers to develop themselves as persons and also to develop their projects because literally it’s like a closed ecosystem. You need to contribute, you need to stimulate this, to support those guys to grow, to create new area, to create new startups, to create themselves as better persons. And that’s why we are a supporting communities as well. We see this also as our mission. We are here, we are really getting under the base of corporation mainly from “Deutsche Telekom”, but sometimes we manage to do something and get from minor office of Cisco, Intel to push, force communities. I think we are very lucky here in Krakow. There have been a number of places, like physical locations with good offers for entrepreneurs. There is one called “Ambasada”, Krakow unite, on the street where countries have consulates here. “Hubraum” is another one, then that`s a “Technology park” a little away from the centre. But there are a number of physical places where people who have got projects can basically get a space for free. You can do events in bars as there are a number of big venues here where in return for the bar-take they will give you a meeting room. But then it makes it an evening event and although for some people and for me as well that can be great. There is something about having a warm, clean, light, friendly, modern place that people can come to and not just one but several which helps to build the community, right? I mean the whole idea behind it is just to connect, I mean the thought is what we believe is thus essential for the startup community of Europe in general and to try to connect these communities together. Diversity is the thing that drives that. Richard, you are coming from the UK, you’re a a bridge of Krakow community to England and UK and more. What we do is we try really hard to connect the Central and the South-East Europe communities: Romania, Croatia, Albania, Montenegro; everyone can learn from each other and this is what we do. So besides the Krakow local community, we do a lot of international events that bring a lot of startups from the outside: from Slovakia, from Czech, from Croatia, from Montenegro, from Bosnia and we can mix them with the community. Whenever we do something, we do the tour. There was a crowd across the street and there was a lot of you know… people here are basically exposing them together. It helps them making connections and connections are what makes the startup community survive, connections, you know, to break it together. This is a good point because what we talk about Silicon Valley I would say it is almost one physical spot on a map. And Europe was lucky with one half such scene, but we can create a critical mass by combining all the regions and making the bridge as Luka said that linking all these communities. This is really important we see it. The European footprints is very interesting. There is a guy called Butcher who back in 2015 and the last few year was a famous or is a famous guy if you are 100 years in the future or 1000 in the future. Mike Butcher works for a website called “TechCrunch” and he came to speak at one of the high events just in January. Everyone in Krakow was so happy, we had this huge turnout of people. It is so much better now than it was 5 years ago. He said “You know what, this could be Riga, this could be Zagreb, this could be Berlin.” This was close to happen everywhere, but there is a certain critical mass, and I left out Сo-Lab and Wytwornia. But there are certain number of community centers here. I mean, if everyone is doing a little bit more than they have to and then the sum is so much greater than the parts. But I also want to come back to this idea of corporate partnerships because, you know, sometimes this kind of divide between the association of big companies here in Krakow; it is called “Aspire” and it’s the “Сapgemini”s, it’s “Cisco”, it’s “Sabres”, it`s the “IBM”`s. Around 2015, these companies were the big guys, and then there is the startup community and there isn’t so much connection, you know, because the corporates are frightened that startups are going to steal their best people and the startups are frightened of the high wages and the corporates. You know, that’s a kind of fear. So where do you fit in this system? What kind of corporate relationships do you have? Obviously, you are “Deutsche Telekom”, you are “T-Mobile” and I was very happy that with Google Chrome’s entrepreneurs were cooperating happily. And I thought that’s a great demonstration as the companies that might see each other as rivals at the local rival position were talking to each other. How does it work here with your relationships with the local corporations or the international corporations that are here in Krakow? You mean between companies or between our all organizations? I don’t know, let’s say we are talking about corporate entrepreneurship or corporate`s investing in the startup community, for example “Cisco” has “Cisco” ventures. They have their own… What I mean is you have got your own perspective but perhaps you are more aware of the situation in Krakow because there are quite a few people who are a bit like you. And I think a lot of our listeners have no idea about this. During the evening workout he gets down and starts to do pushups. So, you know, this is just an example. For him, it is sort of like an opportunity to talk to people who are really doing something on the ground. 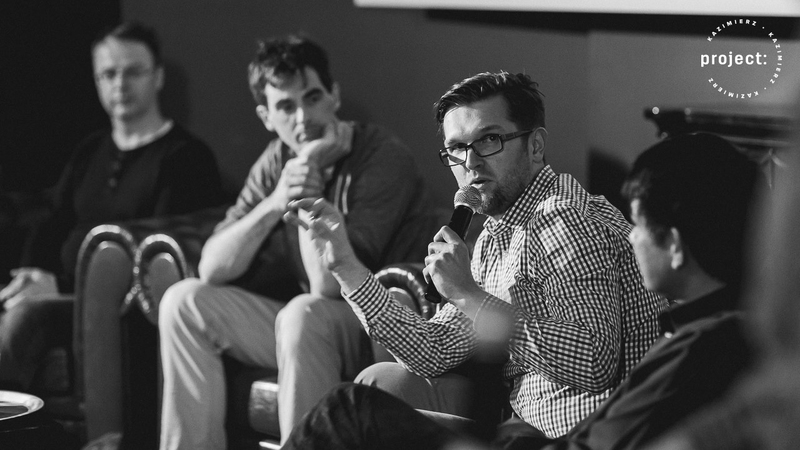 I mean, really doing, I would say, things that are going to be … in the next year or two big things – beacons for Krakow. This is something that a lot of people are asking us: “How come there are so many beacon startups around Krakow, but you can connect us to contact us to Kontakt.io or to Estimote or you know Seedlabs” And we say: “Sure.” These are the guys just across the street and this is something that for us is basically one of the core points. Corporate venture is something that for us is, let’s say, one of the main drivers, but one of. Connecting communities because the communities need to be connected. That is the only way to grow a pipe bigger and this is for us, you know, the understanding of a corporate. You mean Kamil? Sorry, I was thinking of Kamil from Colab. No, Kuba who is sitting here with us was in the meeting with the chief of “Cisco” in Krakow and they got to talking and so we have got this recovering army officer here in our space, you know, and I joked saying “If you are getting out of the army you’re constantly recovering from it.” And Luka you were in the Croatian army, right? So you know what I am talking about. So the Chief of “Cisco” happens to be an American former army officer who graduated from “West Point” in 1992, where I went to school and he reached out to Richard who is sitting here. He said “Richard, I noticed that you are connected on “LinkedIn” with this guy Sam Cook and I would really like to talk to him because there are not many “West Point” graduates from West Point all the way over here in Krakow.” And I picked up the phone and I called him in the rest area over there in space here. He said “What the heck are you doing in Krakow? I’m married to a polish woman so I kind of have an excuse, but how did you turn up here?” I told him the story of how I just traveled around the world and just stumbled really, in Poland with no plans of ever coming here and just came here and really fell in love with the culture and startup community here in Krakow specifically. We were having this conversation about the multinationals versus the startups and I joked with him and I said: “Yeah, I look forward to coming to meet you and getting to know you and stealing some of your employees.” He said: “Hey, all’s fair. This is great”. We were talking about Ramon Tancinco. I am very bad at pronouncing names. I can do Polish names. I just call him Ramon. I met Ramon through Paul Klipp who was the first “TEDxKrakow” curator in 2010. Paul run on spoke and I think at “TEDxKrakow” 2012 “Krakow can be Silicon Valley – Why Not?” Ramon also set up a webpage with a very long name called “pbworks IT in Krakow”. We’ll post that on the show notes. Ramone is one of those corporate guys who is doing a lot for the city. I think that’s a good point to say that it is just not the sub-community. There are events like the “TEDx.com” and “TEDx movement” which are really significant in bringing the same type of people, it doesn’t matter if you are you are geographer, you are into sport, you are into making money, into children’s project. There are people that are interested in new ideas; ideas worth striving. Thanks to the wonder of the internet, you have a great idea in New York today and can be in Krakow tomorrow today and vice versa. There is a fascinating intersection that I am seeing of ex “Silicon Valley” executives like Ramon who is coming over here. A lot of people, I think and this is what he told me, are going to be drawn to this community more and more because reaching a critical mass where you have multi-national corporations like “Cisco”, “Deutsche Telekom”, “Hubraum” helping out the startup community rather than fighting with them and seeing them as a threat. I think it is really an interesting dynamic what is going on here. “… you say “Hi” to your kids and you are gone from 10 p.m. until in the morning.” [Laughing]. It is absolutely a benefit for the city to have this big cluster of big international companies here and I think it also brings different nationalities into the city like as the largest steel company in the world is “ArcelorMittal” which is an Indian company that bought the French company “Arcelor”. They also have “British Steel”. So we have a lot of senior Indian managers here in Krakow and some of them are working with startups of their own. It is just wonderful. It is a mix of different perspectives. 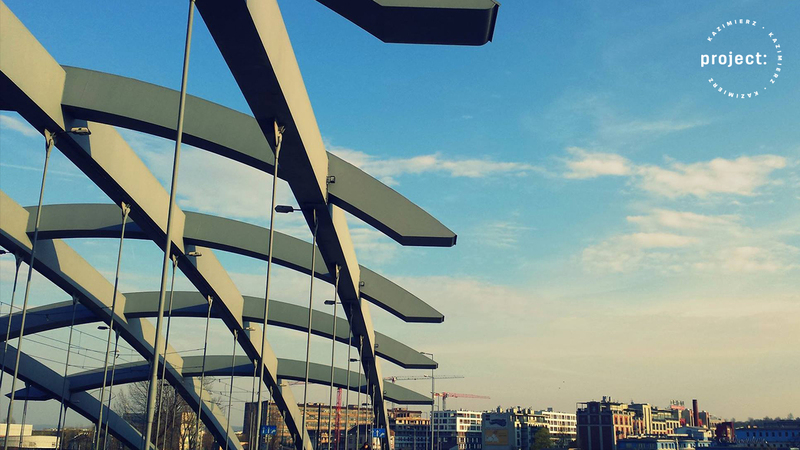 And what about…why Krakow? How many other places in the world have “Hubraum” other than Krakow? Which other city was he in? Actually there are two more. It`s Berlin and Tel Aviv. So Krakow was the third. I mean it was second in the row, just like this. Because when Google entrepreneurs first came here, Google entrepreneurs were in a few places including Tel Aviv. There is something about Tel Aviv as well. When we were talking before we started recording that Tel Aviv is also a party city. And did you come here because it is about making money or did you come here because it is more fun than some other cities? [Laughing]. I mean the basic point is that you can really follow a pattern here. Berlin is an awesome, connected, I mean diverse community with highly growing and highly powerful and absorbing, all these things. Tel Aviv – the same thing. They have so many … The gravitational core of each of these cities is really big so at this point I believe that Krakow has a huge potential of becoming one of these next cities. And I travel a lot around Europe and I see that is very obvious; in a couple of years this will be truth. I would say both. I mean, you have a huge influx of students on one hand and you have a huge influx of corporates on the other hand. You have tourists sort of type of attraction. I mean, you only want to speak or something like “Would you like to come to Krakow?” and you just send a couple of pictures, if by any forth they don’t know about Krakow and that’s it. So you have all of these things, you know, history, culture. It is quite funny if you look out of the window here, I might take a photo and put it in the shownotes and it is actually not the most beautiful view from “Hubraum”. Zablocie, yeah. But the city center in Krakow is stunningly attractive and partly due to the fact that communism, not just part of the Eastern Europe, but from the rest of the world against its will, thanks to the Soviet communist how that was imposed here. A lot of people have this image of Eastern Europe being a bit backward and this idea and business that you should always exceed people’s expectations. So when people come to Krakow and they don’t realize they tend to be stunned by not just the beauty of the old town, but also by how diverse it is now in Krakow where so many students from different parts of Europe and the world, all the tourists and the companies. And that makes it huge in because people don’t necessarily expect it to be as good as it is. For us it is even better because we really like to surprise people. I like to come back to it because of the German influence. One of my business partners is a world leading … German company. I am very used to this extraordinary way in which everything seems to work in a very relaxed and laid back way and it actually worked really well. It exceeds the quality level of the dynamic Americans and the “brainy” Brits. So this German system just works. So in terms of “Hubraum” and how you measure your performance I kind of imagine checklists in “KPA”`s and things like that, which is quite an odd thing to put on top of a dynamic innovation culture. How do you set your goals and how do you know whether you are achieving them here in “Hubraum”? Actually, the goals are quite simple. I mean, we care about 3 things about let generation find you, about our operators which means that we also generate value for our operators. When you said “operators”, what did you mean? But in terms of creating values and in terms that you 100,000 euros and now it’s what 10,000,000 …? I remember someone explained to me the difference between /hʌbraum/ and /hubraum/ and everywhere else. They said: “You have to remember when we invest those money in the network and the nice facilities, you know, we can put your App on any eighty millions smartphones` screens.” Probably now it is a hundred, I don’t know what number exactly. But this is a very nice significant value up. That is the way “The News International” can say we can have 4 pages of advertisements in every like fifty different newspaper and like non-stop TV adverts because this kind of distribution; you are re-emerging your muscles, right? Exactly. But also, what we’re always saying is thatnow have become a service hubs. I thought, you know, about putting ads in the most office and in the most content things. For example, Hungarian guys, they started to offer their energy in the energy business. Some of your workers are all in the eco-business or like the financial services. So taking this into consideration, we have quite broad possibility to support startups because if we find something good in the finance, let’s take it and put it into finance department. Are you in touch with Marchik Truszel from Kontomierz Warsaw? I’ll introduce you. He has got profits, banks, his customers. I`ll put you in touch with that. I think that this idea that software is taking over the world… there are so many products that have been, basically, disrupted is probably to gentler word, I have always described it. I have at home a beautiful digital radio that looks like no radio. It burns out batteries in the past, but it looks nice but my iPod and my cell phone gives me the same functionality and in a more convenient form. So if “Software” is the means by which you solve your more and more, then being in the situation of “T-Mobile” and “Deutsche Telekom” with an accelerator makes a lot sense. So when you measure this KPA, how many Krakow-based Apps or services have you actually put on a “T-Mobile” platform so far? So right now we have seven active investments and they all have some support and backup from operators. In Krakow there are two – Koala Metrics? Originally but in Krakow we invested in seven. We have seven active investments and they all are high quality. That`s a sort of investments, so they all started a company in Krakow. So that are companies based here and in Krakow and they all have Polish entity and we started from them. What kind of a problem we had to prolong the visas for our residents from Ukraine. I have hosted some people from Ukraine and for those who don’t know, neighboring country under attack from Russia. So it is not surprising that many people Ukraine want to come here. It is the wrong thing to call it an opportunity, but probably a relatively safe haven. So that’s obviously a different reason to come, but it is really important for Poland’s economy. If you read this week’s “Economist” there is a feature about Singapore and how strong Singapore is as a place to do business. I think it is the “Economist” or maybe the “Financial Times”, but Singapore has gone out of its way to make itself attractive to people from the other parts of the world to come, live and work with most of you are putting that I know many Polish people who actually quite plan to have their startups here. That is a good thing because it is important for the future of our economy here. We do this a lot. Kuba means a lot of local politicians from the municipalities. I mean, this is what I really hope that and I think that have started recognize the sense in this. This is more steps here. Of course, that is bureaucratic when you want a guy who just has 35.000 salary with “Cisco” and find nice startups led by people who don’t meet the conditions to get a visa. It`s a guy from Oxbridge with a Cambridge University degree and work for a consultant company like me is not particularly a startup guy, but I having shown my CV, I have a tremendous respect for everyone who is ready to work slightly harder than other people to achieve a lot more than other people. That is really what we want here in time. 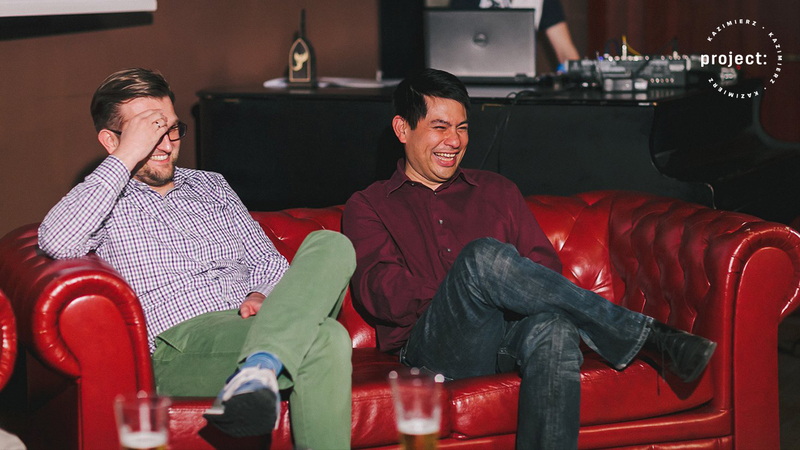 One of the things that Richard and Kuba … I just wanted to complement – the workspace here. As a consumer I rent my desk here and probably have more desks than I thought they gonna give me at the beginning. But I started here and I have been travelling around the world and what seemed like a very nice setup, I had teams in different places of the world and I had to go visit them in Thailand and not Thailand, Malaysia and the Philippines. When I got to Europe, specifically in Krakow, I realized the power of just being in one place and working. In January when I moved into “Hubraum” my productivity really skyrocketed because I have always hated desks. When I was in the army I hated being at my desk. I would always go to the coffee shop, I would always go work wherever because I hated being in an office. But for some reason “Hubraum” has captured a bit of a magic of the modern tech working environment that doesn’t have that cubicle culture and doesn’t have this, I guess, stultifying effect of the office but it’s a free office space. We have to put some videos and pictures of the work space here on the shownotes. But I found both really good and very bad for me and it’s very easy to work very hard here and long hours. I go up to 24 hours. I have used that many times, but it has been a huge productivity boost for me. Not only a place where I actually can get work done with fast and reliable wifi, but more importantly. Your init entrepreneurship is incredibly lonely sometimes and no one but other entrepreneurs know what you’re going through when you are working on a project and you don’t have enough resources and you don’t have enough time but somehow you need to get it done. I got an email today asking for one of my business partner to get reminded to get in touch about with his potential thing. He is working from home at the moment and he’s think about employing someone. I said: “If you are here it is easier to recruit someone to be here than just to be sitting in your small apartment.” The other thing is the idea of entrepreneurship tourism and when I get to London, this is the area in east of London. No, it is called “Silicon Roundabout”. [Laughing] That’s why Google Campus is there. It is serious, very serious, a lot of money around this cluster city of London which is one of the world’s big financial centers. However, I was sitting in the cafe because it has got this Silicon Valley type culture, people are actually talking to each other in the coffee shop. I said to a guy from New Zealand, if you save 50 or 60 thousands pounds, I said “Look, think about it. You come to Krakow you can live and you can hire a couple of people. In London, a cup of coffee cost 5 pounds in London, which is 1 pound 20 here in Krakow.” So we’re talking about 30%, 40% of the cost of living at the expense in West European cities and you can get people to join you. I wouldn’t say the salaries are low anymore or cheap, but you can find talented people who will help you out. So you have got this mixture. It is not so expensive to live here in compare to Western Europe although Berlin is very competitive in fact. I think Berlin is cheaper than you expect because interestingly as a result of communism, West Berlin was like a fortress where there was not much development. East Germany all around, of course there was no development because it was a communist system. So Berlin is of the capital cities where there is space constraint. So rent is quite low in Berlin and when rent is low that is good for everyone. Unfortunately, we don’t have Berlin rents here [Laughing], but everything else is wonderful. And there is a ton of talent and the big productivity gain for me was we’re in the middle of a university town where there are 250,000 students. I had four of them part-time coding for me now when I absolutely needed to bring my development in house and be able to work. And I am just amazed at the quality of young hungry Polish programmers who really want to learn. They were all really excited about coming to work in “Hubraum”. You know, part-time, whenever their shift was. 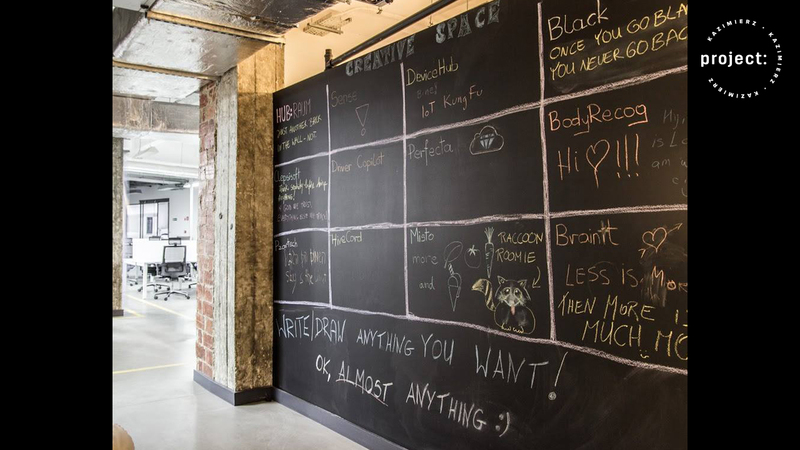 It has been a very powerful productivity gain, and if you are an entrepreneur where anywhere in the world, go find a place like this or come to Krakow and look around at some of these places. We are now in like final 5 or 10 minutes because we’re going into another interview. If you want to know other bad things about Krakow is the traffic and its Friday afternoon and we need to get across the town. Well, I say that if complaining was a well-paid profession then we would have a lot of very well-paid people in Poland, [Laughing] especially in this. What I was going to say is that the current situation. If you start looking to the future obviously there are some great milestones and things that here all around you really want to achieve but you feel you’re on the way but you’re not there yet. What are your challenges and your big like north stars you are aiming for? So we really would like to be and we can’t wait to do this – we would like to be really first choice of startups who would like to work with the telecom operators. We are looking for the appropriate partner to support in development and we should be like Google one of the first choice. That is our target for doing this. That’s very interesting. Actually, our next interviewee has founded the Krakow first local newspaper and had a company called Bedroom which was competing with www.booking.com and now it is like sort of Uber eating like. The point is that this is getting people on the mobile platform. There was a fascinating article in the “Economist” magazine a couple of weeks ago about mobile technology. This is changing the way people think, feel and behave. I started with experience with what happened now before what happens before. You get notification because you want your smart phone device on what’s going on; you get your history. You’re first information is before the previous information so it is almost like time works backwards because you know the history and what is going on there you have look back and normally you get things in order. Almost same like technology is taking things backwards, but it is also the first dotcom bubble. Broadband didn’t exist, mobile phones weren’t powerful, you know, many people didn’t have them, but now everyone has a smart phone. Broadband is almost everywhere and the process in our hand and extremely powerful. More computing power in your smartphone now than the entire government of the United States ahead in 1969 when they sent someone to the moon. I mean, it’s amazing what we have in our pockets now. It is changing everything and it is cool to be in a place where they are funding that and developing that. That what you said, Sam, this is extremely amazing as we are in the spot where all the things are happening. We are doing the changes and we are doing new things to the customers and we see how the technology changed and the products are changing people’s lives. This is amazing about technology and about the industry that we are in. We all enjoy seeing this and being a part of this, right, we are trying to contribute to this. That’s great. Just asking kind a personal question – obviously if you go on a “Hubraum” website which there may be a list of things that you have to do to get in, like what kind of company you are looking to, it is about the people and the technology and the business model; the kind of stuff you would get on any organized accelerator website. But at the same time, personally, if someone just makes an appointment and comes through the door, what is the most important and single thing you want to know about them or what are you looking for saying “Yes, that’s the kind of person we are want in our center?” I`d like you both to answer that. I mean, it is pretty obvious we love people with passion even if you don’t believe and you know that it is true and I`m true. You see this sparkle in the eye. You are pretty much unemployable now. I’ve been that for a long time. [Laughing] But basically, that is the point. When you see passion behind and this is something that I believe is highly valuable and this is what I want to see and this is what I look for immediately. So just to outline… because here we are… Because innovation for us is сreativity plus execution.Any innovation is execution, we are not paying even a dollar for this. We need to see that people can execute this. Without passion they cannot do this. They are really trying to skip over the corporation, because, you know, and I had a super idea to do Uber for Krakow taxi drivers. You know, this is not the way. This is not how you change the world. You need to have passion. So like people who wants to change… I mean I know it is a cliché like it sounds but this is something more. My father always used to say “The best is the enemy of the good.” And like I’m not a professional photographer, I know people are like photographers and they always say: “Oh, I’m afraid that photograph is not very good but if you want to see a photograph at all that’s the photograph you’re going to get.” Okay, we’re about to wrap now. I don’t know if there is anything you would like to close with, Sam or anyone else? No, I just would like to sum up some of the things that we talked about here with. We have been talking to a lot of different people in the Krakow community, the venture fund people and some of the entrepreneurs and now I’m talking to the people I think represent the high level investment and guidance that this community need. So in capitalism and in entrepreneurship requires investment and they requires companies that have incubator and nurtured ideas before brought onto market. It is the whole ecosystem coming up again and I just enjoyed. Kuba, thank you for letting me be a part of this community. I hope I don’t get kicked out any time soon, only for being too big, but not for working too hard or too late. Richard, thanks again. I remember when I was trying to get into “Hubraum”, I sent you many emails trying to make sure that you influence a leadership here. I don’t think it was necessary. If you want anything in the city, I am the guy. With an Austin Power`s type accent. Well, that’s it. Thank you Project Kazimierz listeners for joining us for another episode. Richard and I will see you soon on another edition of the show. Until then please leave a review on iTunes and share this with your friends. And If you travel around is where you want to go, stop in Krakow and sleep on Richard’s couch.